Lake Shikotsu-ko, Toya-ko and Noboribetsu Onsen. If you only have a few days to spare you can still visit some of Hokkaido amazing scenery just a few hours drive from the city. Starting in Sapporo use Route 453 or Chitose use Route 16 and drive towards Lake Shikotsu-ko . It will take less than 1 hour from Chitose. Shikotsu-ko is Japan’s second deepest lake at 363 meters. It was created by a massive volcanic eruption 40,000 years ago. 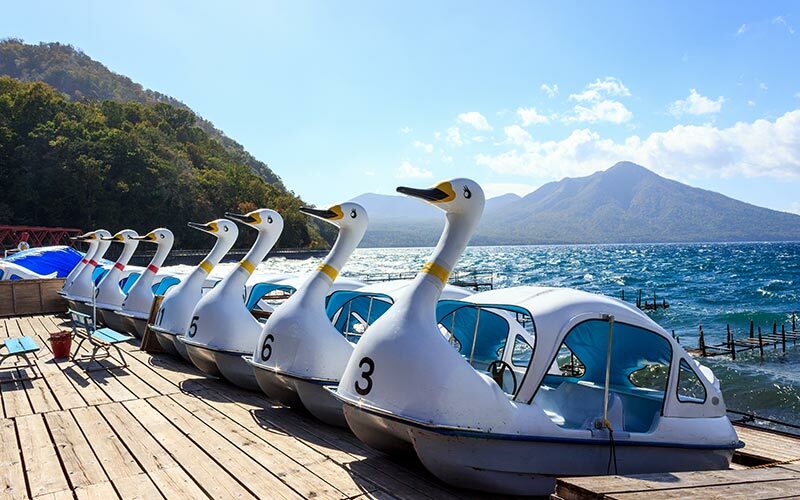 There are boat tour around the lake leaving from Shikotsu-ko Onsen from April to November. There are also rental shop for bicycles or scuba gear. The lake is surrounded by 3 mountains, Mt.Eniwadake, Mt.Tarumae and Mt.Fuppushi. Mount Tarumae is one of Japan’s most active volcanoes. 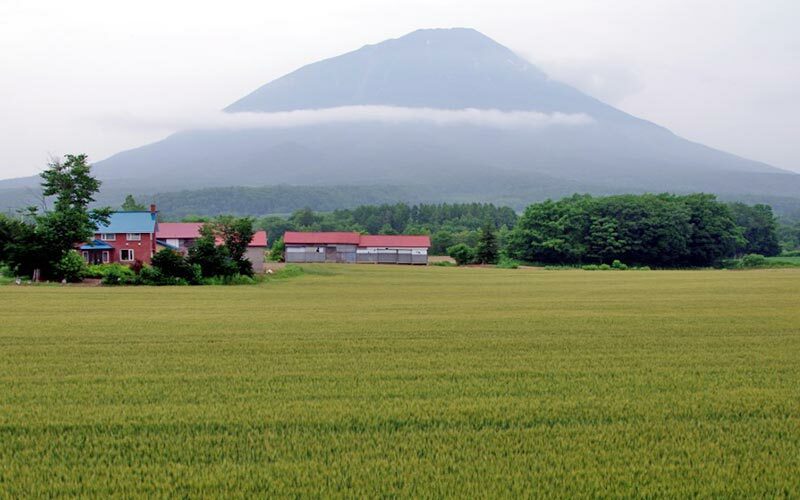 Just 20 minutes from Shikotu-ko Onsen is the starting point to climb the volcano. The steep ascent take less than an hour and offers impressive views of the venting caldera and over Lake Shikotsu-ko. Hiking around the crater takes about two hours. Don’t forget to bring water and snacks. Drive towards Lake Toya-ko along Route 279 and then 463. It’s just 1 hour from Lake Shikotsu-ko. 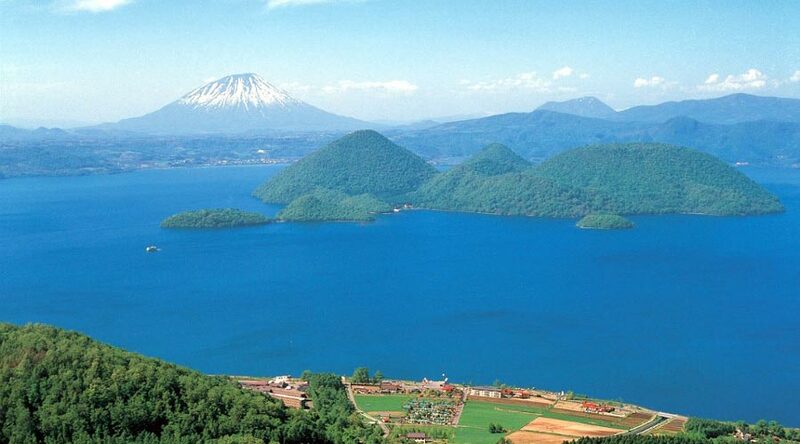 Toya-ko is also a large caldera lake with a circumference of 43 kilometres and there are 4 islands in the middle called Nakajima. Activities on the lake include fishing or hiking. 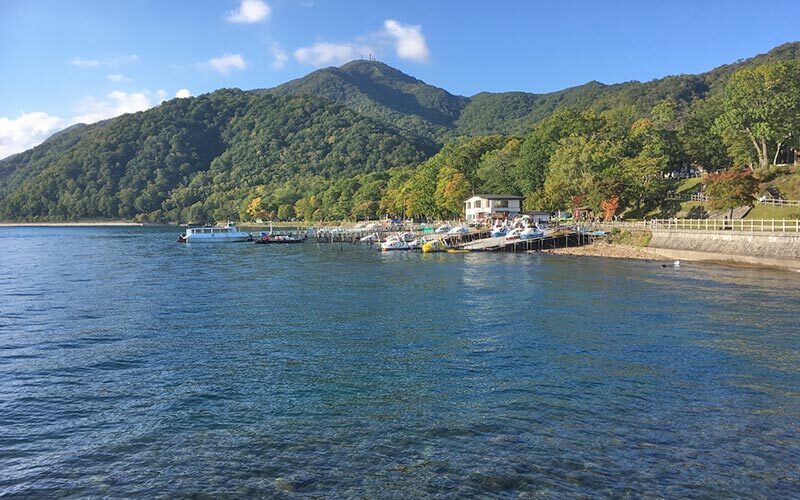 It is possible to go to the largest island by ferry from Toya-ko Onsen village where there is a forest museum and hiking trails. 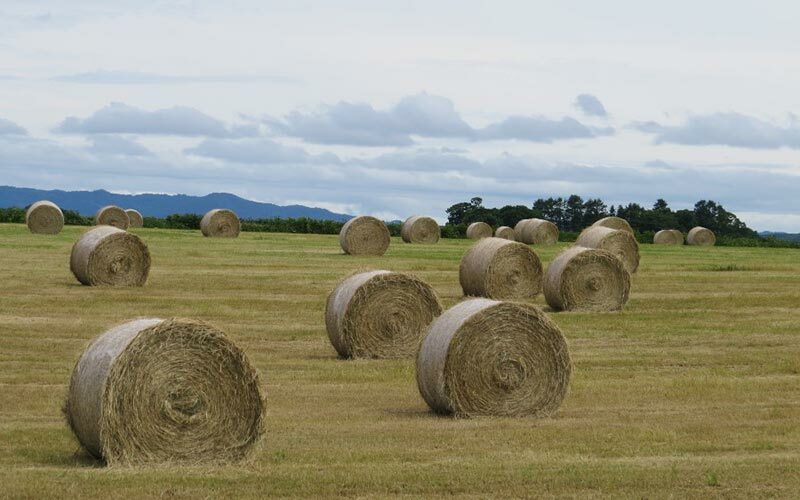 Nearby Mt. Usu is a very active volcano and white smoke bellows out of it constantly. To go to the top of 737 meter high Usuzan it is a 10 minute drive from Toya-ko Onsen. Usuzan ropeway departs from Kazan-Mura, a small town at the base of Showa Shinzan. This 398 meter high geological feature erupted out of ground over a 2 year period 1943-1945. At the top of the ropeway it is a 40 minute walk to the rim of the crater and views of Lake Toya-ko and the Pacific ocean. After going for a scenic drive around Toya-ko it is time to visit yet another volcano, Noboribetsu Onsen and Jigokudani (Hell Valley). 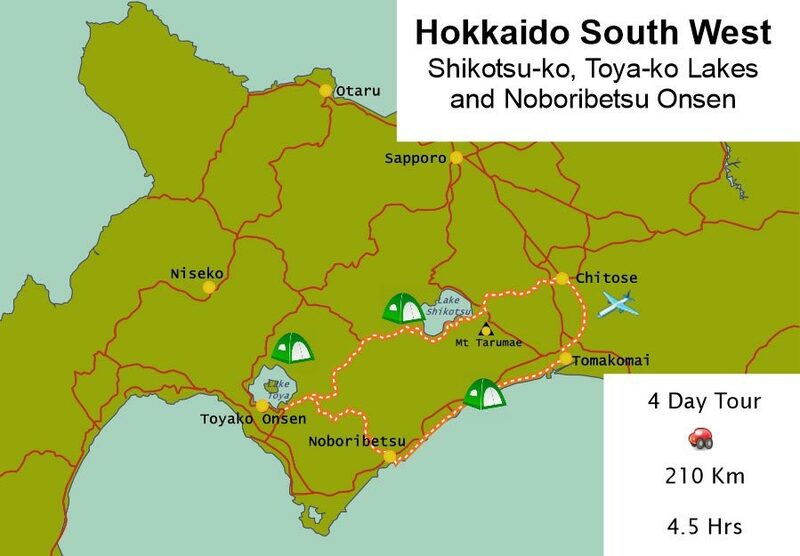 Drive to the east of Soubetsu village and onto Route 2 and it is just a 1 hour drive to Noboribetsu. 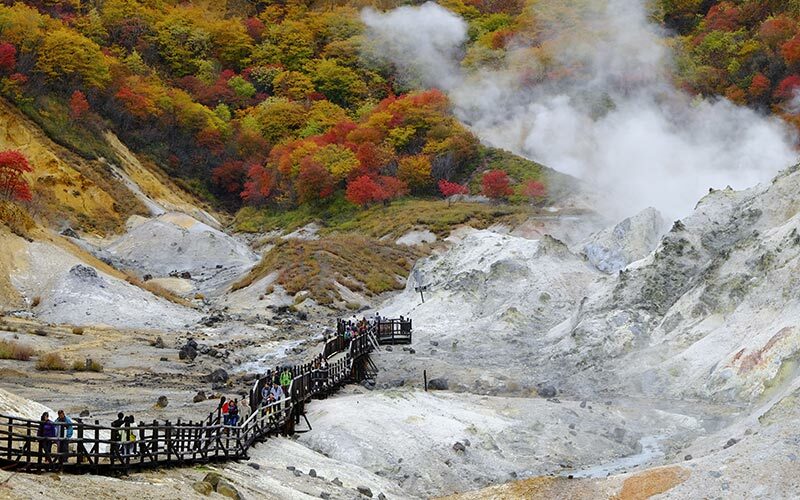 Jigokudani is a volcanic vent with sulphur gases and hot water gushing at 3000 liter per minute. There is a boardwalk to get up close. The hot water has different type of minerals and of course you can bath in the neaby township. There are various hiking trails around Noboribetsu Park Center where you can take in the primeval forest and birdlife. Take the rope way from Noboribestu Onsen to the top of Mt.Shihorei from there you can view Lake Kuttara. 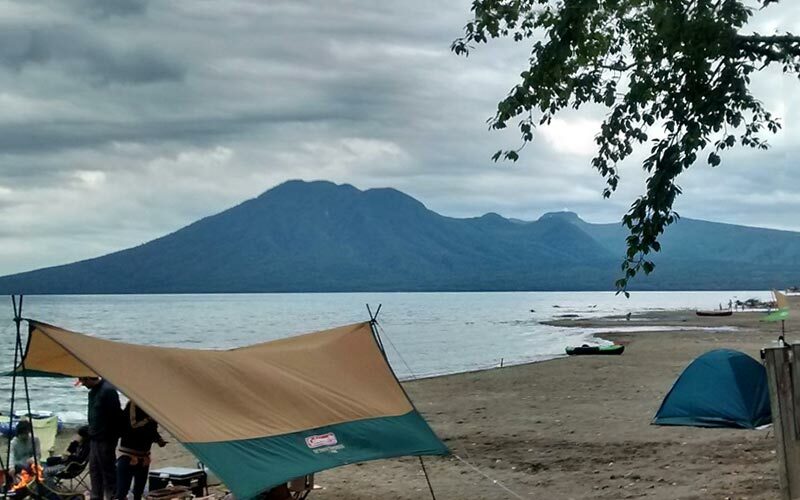 Kuttara-ko has the second cleanest water of any lake in Japan to Masshu-ko in northern Hokkaido. 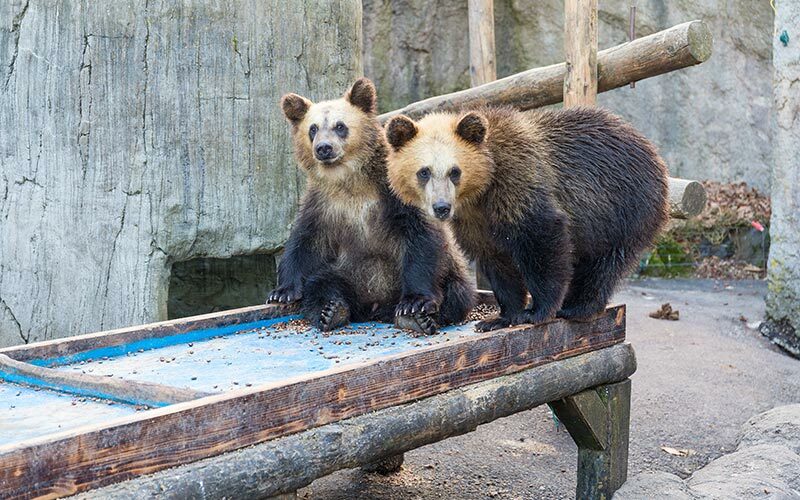 At the top is also Bear Park where you feed Hokkaido Black Bear. Higuma are native to northern Japan and are over 2 meters tall, weigh 300 kg and can run at 50 k/h. A short drive from your evening campsite is Ainu Museum Poroto Kotan. On the shore of Lake Poroto near Shiraoi city is this cultural centre dedicated to the indigenous people of Hokkaido, the Ainu. See replica building hand built structure, artefacts and wood carvings. Watch traditional dance and music. 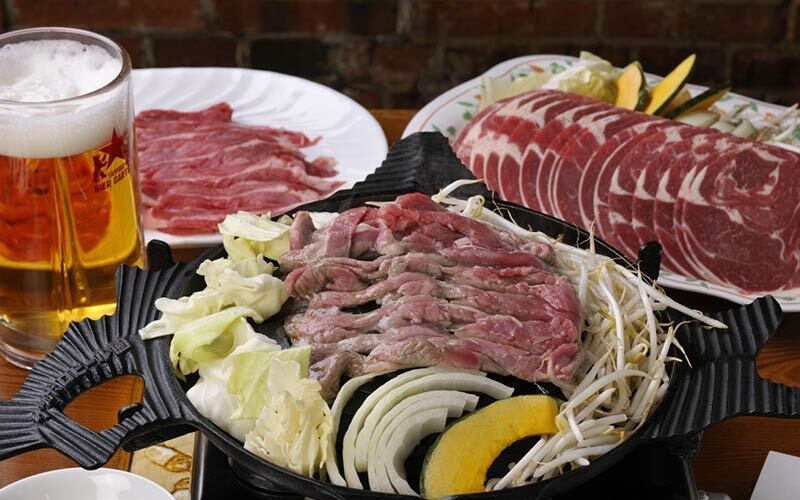 It is just over 1 hour drive to Chitose along Route 36. You can stop at Lake Utonai along the way if you have time to spare. From Chitose it is another 40 minutes to Sapporo.